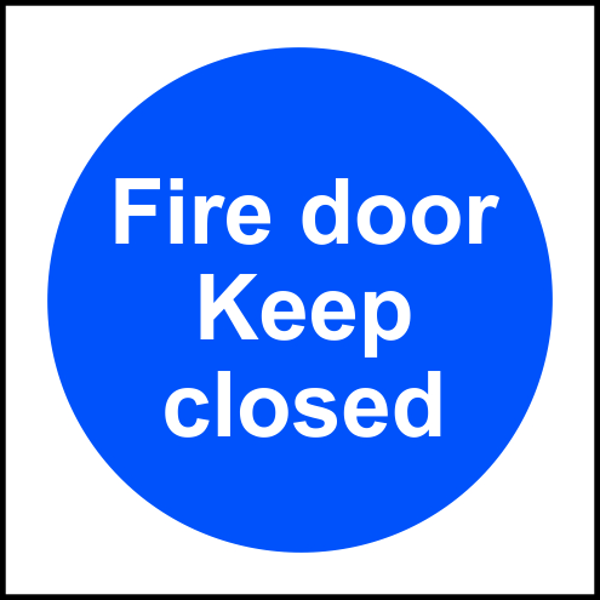 Mandatory access sign which includes a blue circle containing a white image denoting that a specific course of action must be taken. 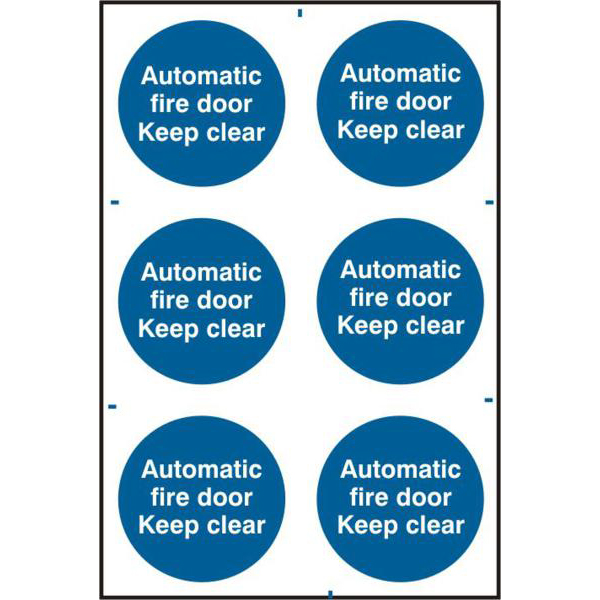 6 signs per sheet. 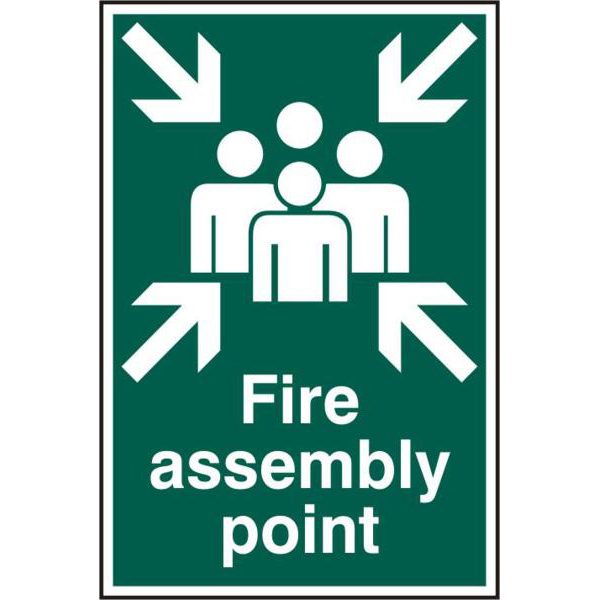 Emergency fire assembly sign which includes a green rectangle with a symbol / text in white providing information about safe conditions. 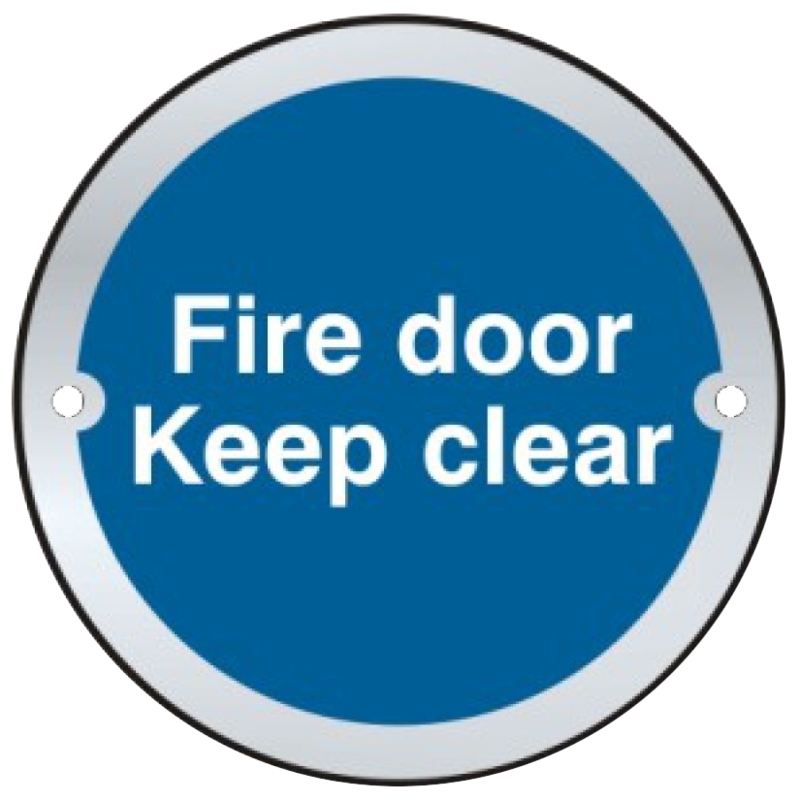 Mandatory fire door sign which includes a blue circle containing a white image denoting that a specific course of action must be taken. 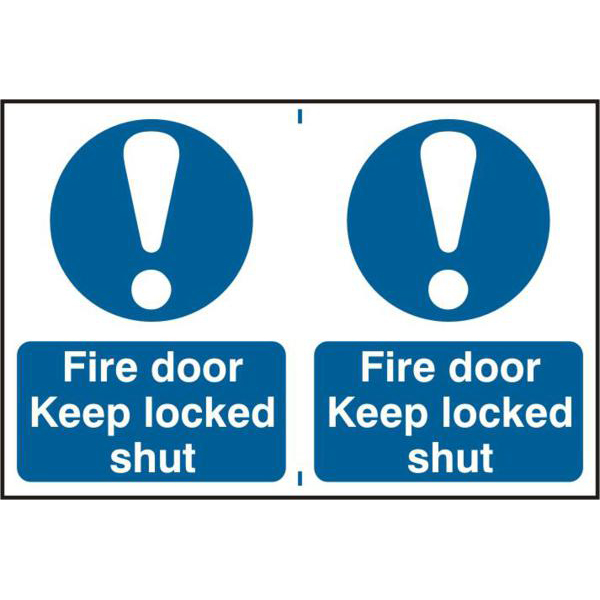 2 or 6 signs per sheet. 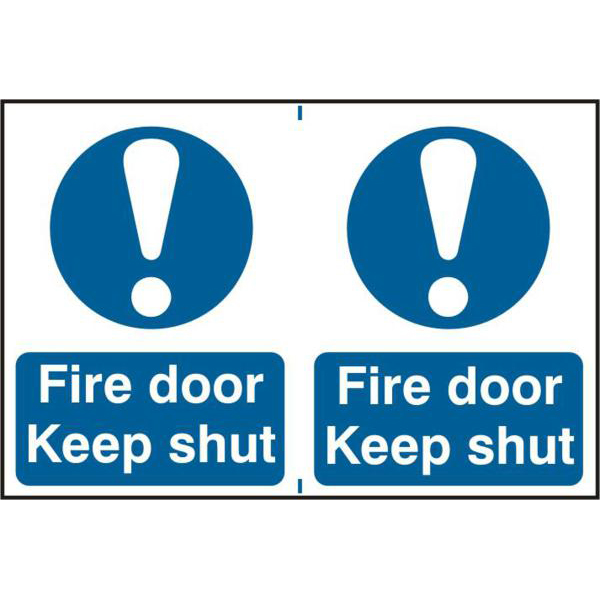 Blue and white `Fire Door Keep Shut` signs from Asec, measuring 100mm x 100mm. 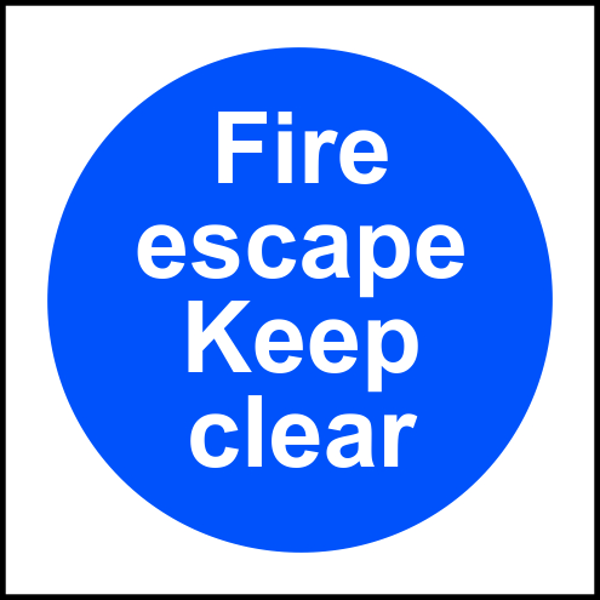 Blue and white `Fire Escape Keep Clear` signs from Asec, measuring 100mm x 100mm. 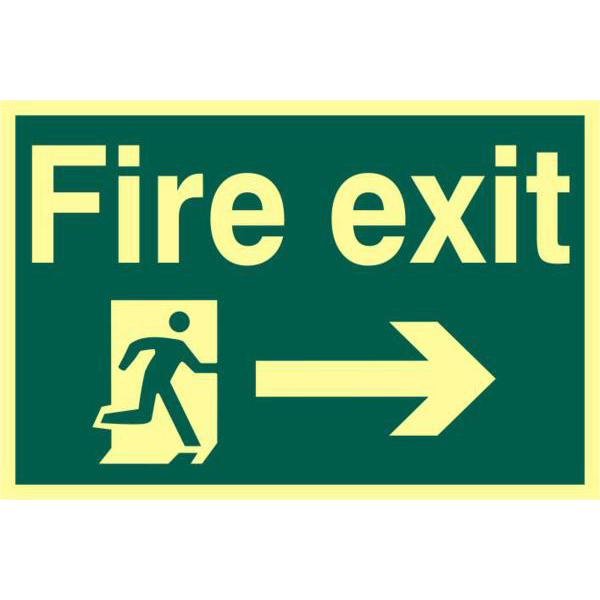 Fire exit and evacuation sign in photo luminescent finish. 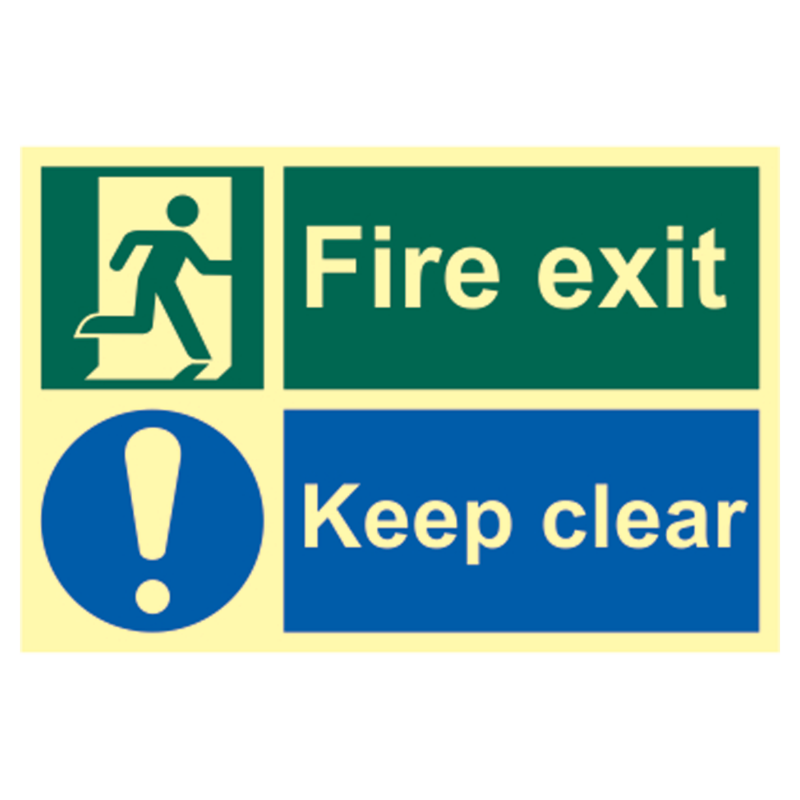 In the event of a fire or emergency signs can often be impaired by poor lighting, smoke or even lack of power. The signs remain highly visible even in complete darkness. 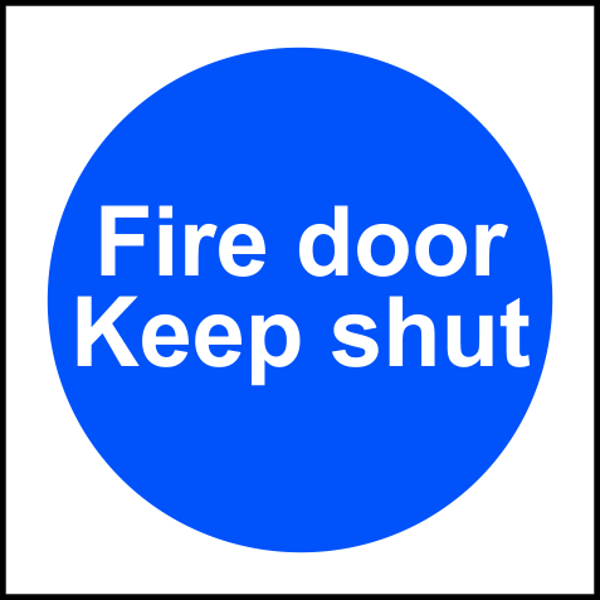 Emergency fire assembly sign which includes a green rectangle with a symbol / text in white providing information about safe conditions as well as a mandatory fire door sign which includes a blue circle containing a white image denoting that a specific course of action must be taken. 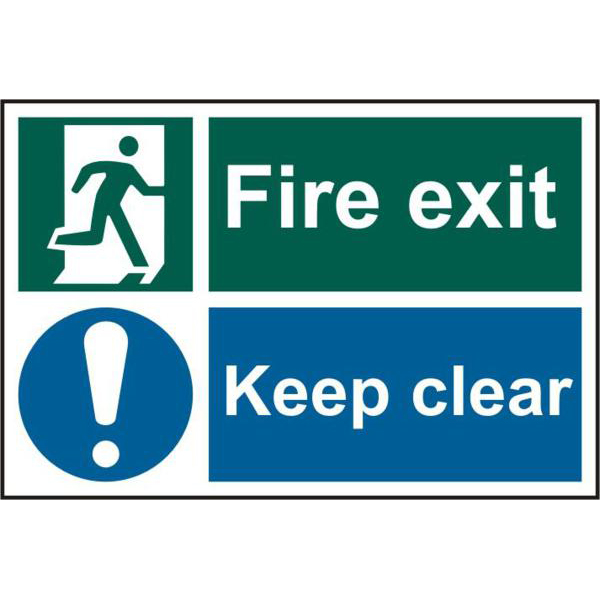 Fire exit and evacuation sign in photo luminescent, indicating fire exit and evacuation. 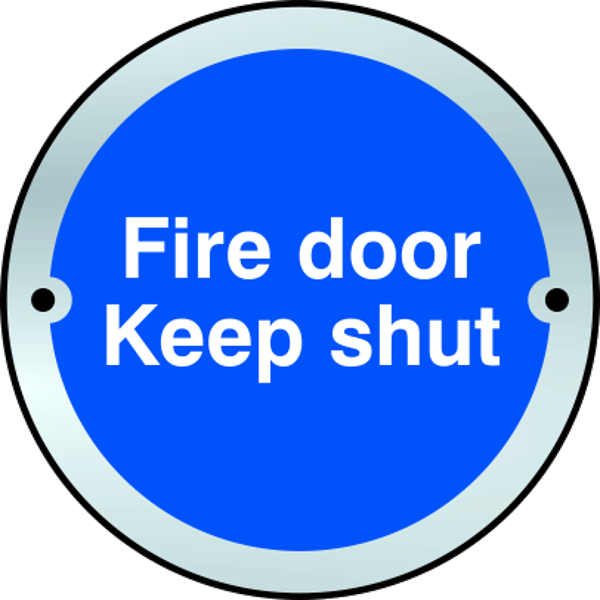 In the event of a fire or emergency signs can often be impaired by poor lighting, smoke or even lack of power. The signs remain highly visible even in complete darkness.